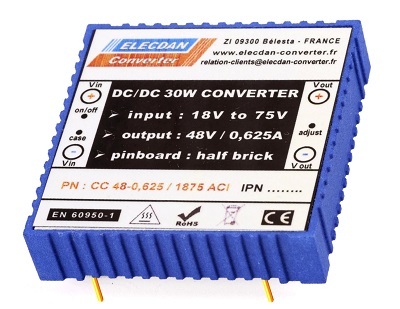 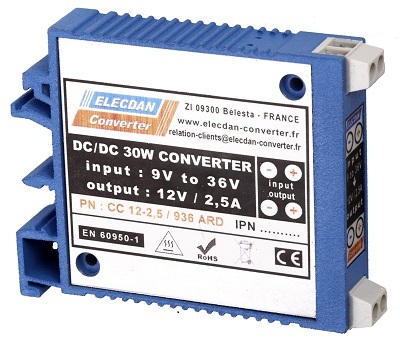 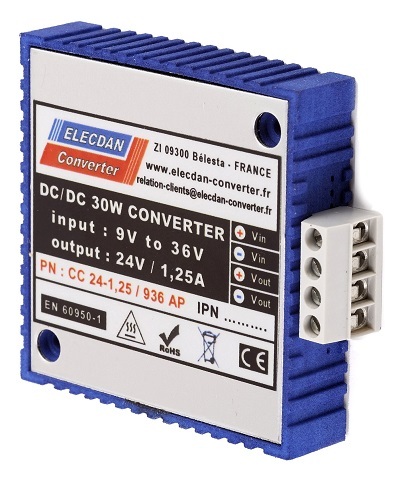 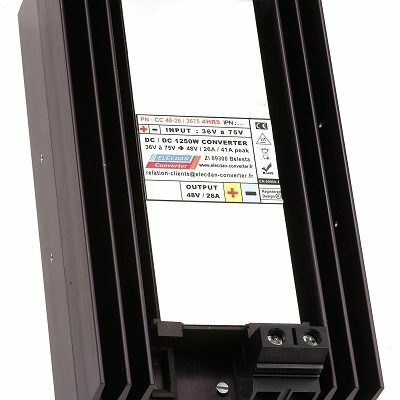 3 presentations, for mounting either: on DIN rail, on wall, or on printed circuit board with “half-brick” connection. 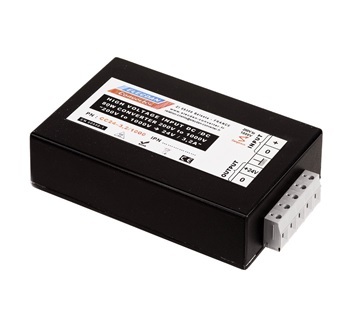 Input voltage Vin: 9 to 36V & 18 to 75V. 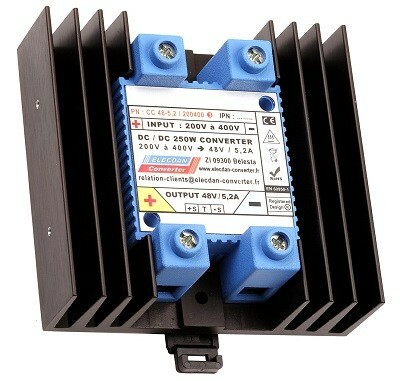 Ouput voltage Vout: 5V, 12V, 15V, ±12V, ±15V, 24V, 28V, 48V.